Bez and Spam have been super excited lately. 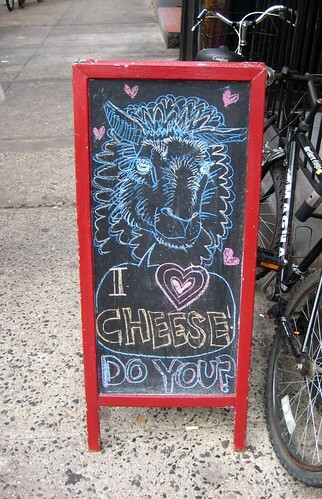 After years of living in Alphabet City, they can finally realized they can get cheese in their nabe! I can finally pick up a little something to their dinner parties! They have one of our mutual favorites, Cypress Grove! It's a win-win for everyone. Best part: Barnyard has sandwiches too! I love sandwiches. Barnyard opened two summers ago, but like many New Yorkers, we weren't aware of it simply because we never walked past the store. Well Bez and I were bumbling around the city this weekend, and decided to stop by, get some munchies and cheese, and sit at their outside table to watch the goings-on. 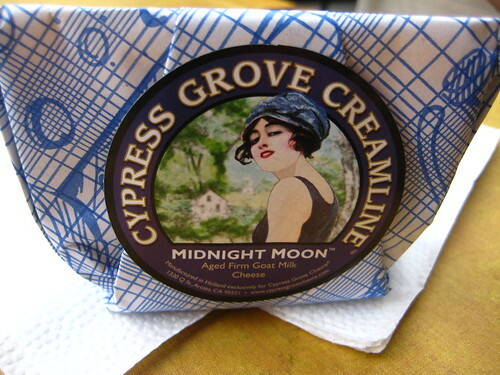 Bez splurged on a little Midnight Moon gouda, creamy delicious cheese that PERFECT for slicing onto fresh bread. 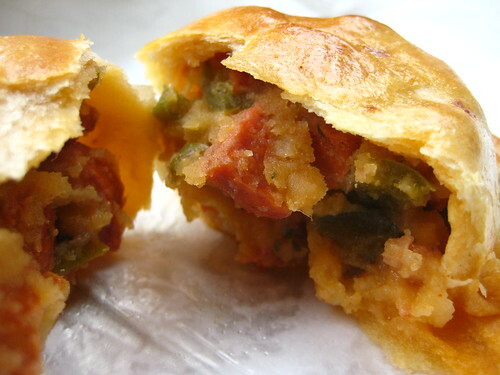 I went for a chorizo empanada, spicy meaty deliciousness. But I'll definitely be back soon for a little sandwich they have called The Figgy Piggy-yes, prosciutto, fig jam, and goat cheese: a classic tasty combination. Had I not been a little piggy beforehand, this would have gotten my vote. Oh, and they deliver, sweet bonus. looks like another wonderful place to try out! problem is there are too many in the city!! thanx! !